Men with metabolic syndrome or a smoking history had more than triple the risks for persistent moderate to severe nocturia after TURP. SAN FRANCISCO—Moderate or severe nocturia is more like to develop in men following transurethral resection of the prostate (TURP) for benign prostatic hyperplasia if they smoke or have metabolic syndrome (MetS), researchers reported at the American Urological Association’s 2018 annual meeting. For the study, 102 patients (median age 69; BMI 25 kg/m2; PSA 4 ng/mL) were prospectively enrolled before TURP. Preoperatively, median Qmax was 8 mL/sec, International Prostate Symptom Score was 17, and prostate volume measured by transrectal ultrasound was 59 mL. After TURP, 69% of men complained of 2 or more nocturia episodes nightly. Of the 39% with pre-existing MetS, 58% developed this degree of nocturia after TURP. Similarly, of the 61% of men who smoked, 52% had persistent moderate to severe nocturia after TURP. Both smoking and MetS were associated with significant 3-fold increased odds of moderate or severe nocturia. 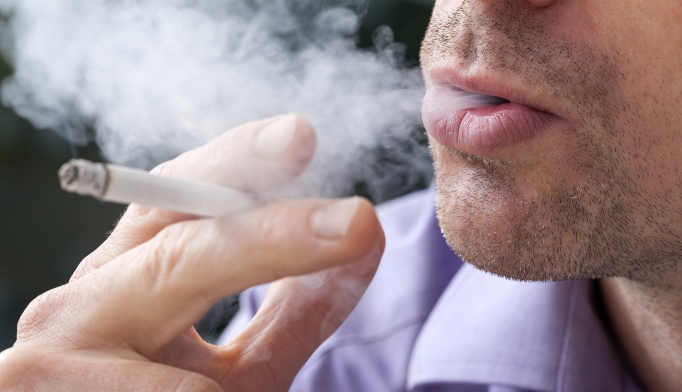 “Although these results should be confirmed, and the pathophysiology is yet to be completely understood, counseling smokers or patients with MetS about the risk of post-operative persistent nocturia is warranted according to our results,” Cosimo De Nunzio, MD, of Ospedale Sant’andrea Sapienza University and colleagues concluded. De Nunzio C, Lombardo R, Tema G, et al. Metabolic syndrome and smoking are associated with persistence of nocturia after transurethral resection of prostate. Presented at the American Urological Association’s 2018 annual meeting in San Francisco, May 18–21. Poster MP04-13.